As members of the public, we might not get our hands on Google Glass for a good while, but developers are out there right now making things awesome for Google’s wearable computer. People are working with Google to find out exactly how to make a user interface that works inside your constant vision. Google’s newest video today shows where they hope Glass ends up when consumers finally get their devices. 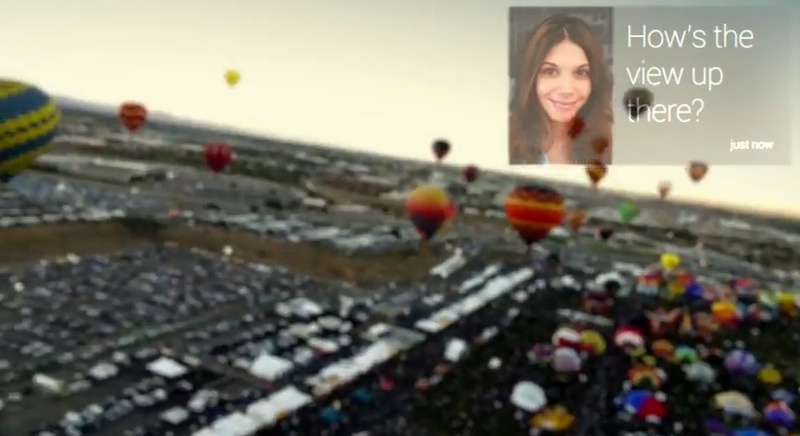 The video shows off Glass doing a multitude of different things – hosting Hangouts while flying planes (which seems a bit dangerous), taking photos or videos during certain activities and even giving heads-up directions while you’re biking through NYC. The whole interface starts when Glass hears you say “Ok, Glass.” It’s a cool concept and the video is pretty awesome to watch, but who knows how far along Glass actually is to what we’re seeing in the video. We can only hope that Google is hard at work to get there as soon as possible. What is it going to take to get you to buy a Glass device?